The ProLine Aftershock mid-range disc is the less stable compliment to the Shockwave mid-range disc. The ProLine Aftershock can handle huge anhyzer lines and still produce a significant amount of fade at the end of its flight. Designed to fly slightly faster and less stable than the Shockwave, you can use the ProLine Aftershock off the tee, or for long range approach shots. This disc can handle any arm speed and sticks to the line that you put it on! The ProLine Aftershock is a great disc for all players. Try the Shockwave and Aftershock combo today and take your mid-range game to the next level! The SP Line Aftershock mid-range disc is the less stable compliment to the Shockwave mid-range disc. The SP Line Aftershock can handle huge anhyzer lines and still produce a significant amount of fade at the end of its flight. Designed to fly slightly faster and less stable than the Shockwave, you can use the SP Line Aftershock off the tee, or for long range approach shots. This disc can handle any arm speed and sticks to the line that you put it on! The SP Line Aftershock is a great mid-range disc for all players . Try the Shockwave and Aftershock combo today and take your mid-range game to the next level! The Breaker is an overstable putt and approach disc. Also great for midrange shots, the Breaker will predictably “break” for the basket and leave you with a minimal putt. The disc’s low profile flat top will make it a natural fit in your hand and earn your trust within the first few throws. Great in the wind, this disc will be your go-to disc for many conditions and situations. DGA will have a limited number of prerelease ProLine Breakers available during the Memorial Championships. The ProLine Hurricane is DGA’s fastest high speed driver for players of all skill levels and the fastest and furthest flying driver in the DGA line up. It offers amazing glide and can help beginners get some of their longest drives ever! You’ll find this disc effortless to control and unlike many other wide rim discs, the ProLine Hurricane will feel great in your hand to insure proper release. The Hurricane in ProLine plastic offers superior grip and tack right out of the box. The ProLine model Hurricane is great for all weather conditions and is designed to take a beating over time. The SP Line Hurricane is DGA’s fastest high speed Disc Golf Driver for players of all skill levels. The SP Line Hurricane is the fastest and furthest flying disc in the DGA line up. It offers amazing glide and can help beginners get some of their longest drives ever! You’ll find this disc effortless to control and unlike many other wide rim discs, the SP Line Hurricane will feel great in your hand to insure proper release. The Hurricane in SP-Line plastic is more over stable and slightly faster than the ProLine model Hurricane. The SP Line Hurricane will also take a little longer to break in, but will last a lifetime due to its premium plastic blend. The SP Line Reef Putt & Approach Disc can keep your putts catching the chains in the most treacherous of situations. This will be your go-to slightly under stable putt and approach disc. The SP Line Reef can hold any line that you put it on when approaching, and is the perfect flip-to-flat putter. This is a great disc for catching chains from anywhere on the fairway. The SP Line Reef will most certainly lower scores and increase confidence for players of any skill level! The Reef in SP Line Plastic will fly slightly more stable than the D Line version. The SP Line Reef was designed to last through years of use and will keep its lines even when beat in. The ProLine Rogue is DGA’s high speed disc golf driver that combines both control and distance, while maintaining a predictable flight path. For low to medium arm speeds, this disc works perfect for straight shots that do not require significant fade, and can also be used for long turn-overs. Those with higher arm speeds will notice that the ProLine Rogue is perfect for any flip-to-flat line, narrow tunnel drives, as well as the huge flex shots. The Rogue in ProLine plastic will be very tacky and provide superior grip in any weather condition. It will reach its intended flight characteristics earlier that when produced in SP Plastic. This ProLine Rogue is ideal for beginners who are looking to throw maximum distance. The SP Line Rogue is DGA’s high speed disc golf driver that combines both control and distance, while maintaining a predictable flight path. For low to medium arm speeds, this disc works perfect for straight shots that do not require significant fade, and can also be used for long turn-overs. Those with higher arm speeds will notice that the SP Line Rogue is perfect for any flip-to-flat line, narrow tunnel drives, as well as the huge flex shots. The Rogue in SP Line plastic will be slightly faster and a touch more over stable than the Rogue in ProLine plastic. The SP Line Rogue is designed to take a beating and last a lifetime because of the durable plastic blend. This disc is ideal for beginners who are looking to throw maximum distance. The ProLine Shockwave mid-range-disc is a very stable mid-range disc with great line control and predictability. This disc can handle a solid snap or a stiff head wind and still fade left hard! This mid-range is great for forearm approaches, as well as a variety of trick shots that players do not try to encounter during rounds, but inevitably do. The ProLine Shockwave is great for experienced players, or beginners who are looking to work on their hyzer approach shots. The Shockwave in ProLine plastic will ensure superior grip even under the most extreme weather conditions. The ProLine Squall mid-range disc is a revolutionary mid-range disc with driver like grip and incredible speed. One of the fastest mid-range discs on the market, you can use this disc to drive short holes, and find the basket on challenging mid-range shots. The ProLine Squall is considered slightly under stable and will hold very long anhyzers, as well as any flip to flat lines. This disc truly is a game changer and will make even then most seasoned players drop their go-to mid-range disc and pick up a Squall! The Squall in ProLine plastic will have superior grip and will achieve its intended flight characteristics earlier in its lifespan than in SP Line plastic. Try one today and take your mid-range game to the next level! The SP Line Squall Mid-Range Disc is a revolutionary mid-range disc with driver like grip and incredible speed. One of the fastest mid-range discs on the market, you can use this disc to drive short holes, and find the basket on challenging mid-range shots. The SP Line Squall is considered slightly under stable and will hold very long anhyzers, as well as any flip to flat lines. This disc truly is a game changer and will make even then most seasoned players drop their go-to mid-range disc and pick up a Squall! The Squall in SP Line plastic will be a touch more stable than in the ProLine plastic and will last through years of wear and tear. Try one today and take your mid-range game to the next level! The D Line Titanic is a slightly over stable putt and approach disc that was designed to sail straight and nail your shots. DGA developed this disc to help sink your putts! More stable than the Reef, this disc will hold a long hyzer putt line. The D Line Titanic can be used for flex shots when approaching and can hold a steady line. The Titanic in D Line plastic has enhanced grip and durability that sets this putter apart from any competition. DGA developed the ProLine Titanic putt & approach disc to help sink your putts! The ProLine Titanic is a slightly over stable putt and approach disc that was designed to sail straight and nail your shots. More stable than the Reef, this disc will hold a long hyzer putt line. The ProLine Titanic can be used for flex shots when approaching and can hold a steady line. The Titanic in ProLine plastic has enhanced grip and durability that sets this putter apart from any competition and will last through years of use! The ProLine Tsunami is DGA’s most stable fairway disc golf driver that was designed for control and predictability. The ProLine Tsunami is an over stable disc designed for fairway drives that require predictable and accountable fade. This disc is a perfect complement to its less stable cousin, the Undertow, and will quickly become your safety blanket once in your bag! Because of its stability and predictability, the ProLine Tsunami is great for both side arm and overhand throwers. The Tsunami in ProLine plastic will have superior grip and will achieve its intended flight characteristics earlier in its lifespan than in SP Line plastic. The ProLine Tsunami is ideal for players looking for a disc with consistent fade and predictable turn. The SP Line Tsunami is DGA’s most stable fairway Disc Golf Driver that was designed for control and predictability. The SP Line Tsunami is an over stable disc designed for fairway drives that require predictable and accountable fade. This disc is a perfect complement to its less stable cousin, the Undertow, and will quickly become your safety blanket once in your bag! Because of its stability and predictability, the SP Line Tsunami is great for both side arm and overhand throwers. The Tsunami in SP Line plastic will be a bit more stable than in ProLine plastic. The SP Line Tsunami is ideal for players who need a disc with predictable turn and will hold its flight characteristics throughout the lifespan of the disc. The SP Line Undertow is DGA’s fairway disc golf driver that was designed for increased control.The SP Line Undertow is a compliment to it’s over stable cousin, the Tsunami, and can be used for an assortment of different shots. The Undertow is a straight flying disc that was created to finish flat. This disc truly will hold the line that you put it on and perform beyond expectations. The Undertow in SP Line plastic is more over stable and slightly faster than the ProLine model Undertow. The SP Line Undertow will also take a little longer to break in, but will last a lifetime due to its premium plastic blend. The SP Line Undertow is ideal for players looking for a disc with superior control and less stability. The ProLine Undertow is DGA’s fairway disc golf driver that was designed for increased control. The ProLine Undertow is a complement to it’s over stable cousin, the Tsunami, and can be used for an assortment of different shots! 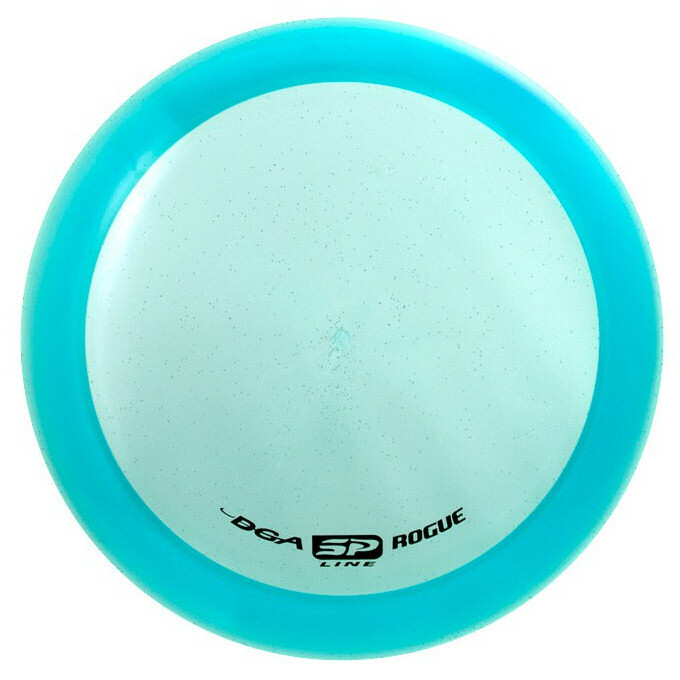 The ProLine Undertow is a straight flying disc that was created to finish flat. This disc truly will hold the line that you put it on and perform beyond expectations. The Undertow in ProLine plastic will have superior grip and will achieve its intended flight characteristics earlier in its lifespan than in SP Line plastic. The ProLine Undertow is ideal for players looking for a disc with superior control and less stability.